Eventually I figured it out. The secret that Super Heroes aren’t so quick to share with us normal people is that they are normal people too; there are no Super Heroes. Infinity, by definition, is the largest number possible – but also it is the collection of all real numbers. To say it a little differently – you can never say “infinite +1” because it already includes all the possible “+1”s. So… I believe the way to reach “infinity and beyond” isn’t about leaping to infinity in a single enormous bound, rather it’s done by advancing one very normal, very doable, “+1” at a time. This is how the Philosophy of More works. We can all – be, or learn, or do, or try – a little bit more. Focus on the little steps and the big steps/goals/successes will take care of themselves. That’s how normal people like us (you and me) get big super hero-like stuff done and attain those big, and seemingly infinite goals. 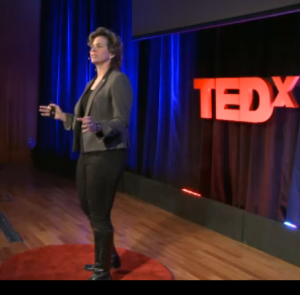 I’ll attach the TedX video here when it’s posted. *Normal – I recognize that referring to anything as “normal” is almost always inaccurate. We now believe in such a broad range of diverse cultures and behaviours that to define anything as normal would be next to impossible to capture. I’ll start with there is no abnormal – and to your own self be true – for the purposes of this comparison to super heroes – that’s “normal” enough! This entry was posted in Marnie in the News, Mentor Messages and tagged McBean, normal people, Super heroes, TedX, TedxUTSC by Marnie. Bookmark the permalink.